Spruce up your town’s annual Independence Day barbecue and fireworks display or your pub’s traditional St. Patrick’s Day all-you-can-eat (or drink!) 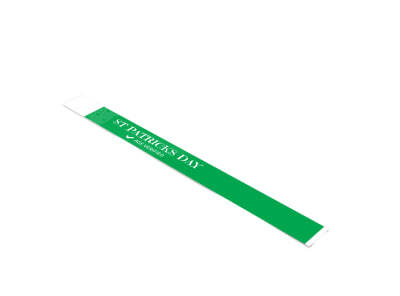 corned beef, cabbage, and green beer celebration with a fully-personalized, professionally designed wristband. Participants can pay once, don their wristband, and eliminate the need to constantly show a receipt or tell your event staff they’ve already paid. 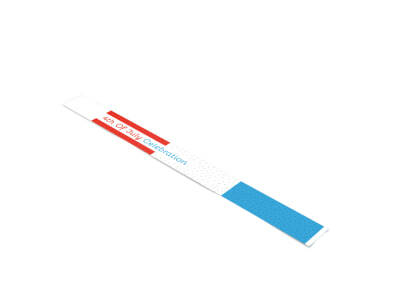 MyCreativeShop’s holiday wristband templates are easily customized with our easy-to-use online editor. Beat the holiday rush by starting now. We can even ship a fabulous stack of your printed finished product right to your door – it’ll be like Christmas and your birthday all rolled into one! Keep track of haunted house guests, Halloween monster mashers, and spooky corn labyrinth participants with custom-designed wristbands that make it easy to see who’s paid, who can enter the VIP area on the other side of the gold rope, and who’s old enough to drink from the high-octane cauldron instead of the unleaded green slime. Our professionally-designed and completely customizable Halloween wristband templates and user-friendly DIY online design editor make it easy to create a simple method of tracking your event’s unique parameters. We can even print them for you – no tricks, just treats. Your spooky soirée will be a graveyard smash in no time!